How Many Rounds Are Fired On Average In A Gunfight? So many times, women will ask me about my favorite concealed carry purse, or the best place within a purse to carry a firearm. My answer honestly? I don’t carry off-body unless I absolutely have no other option. If I know I’m going to a wedding or a function where i have to wear a tighter dress, and my husband is wearing a suit, he becomes my off body carry. Not all women have that option, however, so if you have no other way to carry concealed, then there are some absolutes that you must have in a concealed carry purse. Unfortunately, there are a lot of “concealed carry” purses that really aren’t. I’ve also seen some sites where they offer to “convert” your favorite purse into a concealed carry purse. Be very cautious about that. 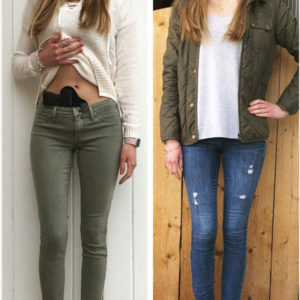 Most of the time, these “conversions’ are nothing more than someone putting a cheap holster or worse, sewing a Velcro loop in the purse that is to go around the barrel and that’s the conversion. What you’re left with is a purse with a Velcro loop in it, and not a CCW purse. The number one priority when you’re researching a purse is that it must, must, must have a dedicated compartment with an attachable holster, preferably with zipper or Velcro access from the sides. You have to make sure that the firearm is secure, and alone in that compartment. A woman’s purse can often be a small (or sometimes not-so-small) extension of her closet. We carry lipstick, pens, keys, and a myriad of other items that could get easily lodged in the trigger guard if we were to simply throw an un-holstered firearm into our non-concealed carry purses. 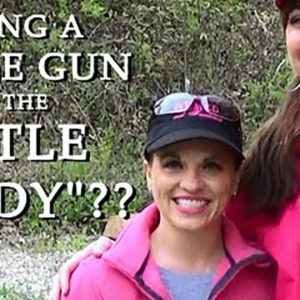 You laugh, but you can’t imagine how many women who are new to firearms who do just that! 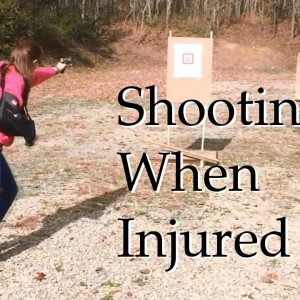 And besides, the last thing we need to be doing if we need quick access to our firearm is to be fumbling around for a loaded pistol when we need it in a critical situation. “Hold on, Mr. Attacker, I have a gun in here somewhere!” The best kind of compartment will be on the sides, not the top. It’s far easier to access quickly. The other thing, of which to make sure, is that the purse comes with a steel-enforced strap. This, too, is really important, especially in more crowded areas where you can fall victim to a purse snatcher. Even if you are carrying your purse correctly, in the cross-body position, but you have a flimsy strap that isn’t well fastened to the purse, then it won’t stop a thief from simply ripping it from your body or slicing through the strap with a knife. Now, not only have you lost your wallet and other belongings in the purse, but you just gave a thief a gun, YOUR GUN! Finally, if you are going to carry off-body, please keep that purse on you at all times. I always tell women in my courses that your firearm is like your newborn baby. You wouldn’t just place that baby down anywhere and walk away from it. You have to guard it at all times if it’s off body. If you’re at a function or out to dinner, putting the purse on the back of the chair is or putting it under your feet is very risky. If you’re at the grocery store, the purse should stay on your body. We can’t do what our mothers did by putting the purse in the basket by the handle of the grocery cart, especially if we have a small child riding in the cart. Just think back to December of 2014, when that mother in Hayden, Idaho was shopping at Walmart with her two year old son in the cart and her concealed carry purse in the same cart with the child. The little boy managed to reach into his mother’s purse when she wasn’t looking and caused a negligent discharge of the firearm, killing her. It’s just a horrific story for all involved, especially that child, who will have to carry with that burden with him for the rest of his life. The safest way to carry is on-body, no question about it. You know where your firearm is at all times. You have more control over it and it’s more secure from unauthorized access. If you do need to accessorize, and we all have occasions where we may have to, please, make sure that the carry system keeps your firearm secure, accessible to you, and you only.